Lynn Dunham's Art Blog is lively, full of information, opinions, news and all kinds of good stuff. 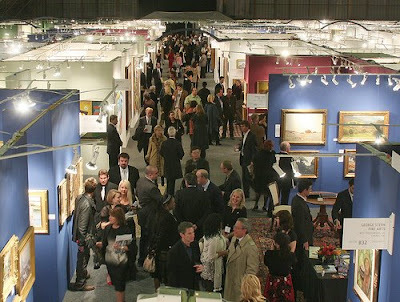 Los Angeles Art Show, which after 6 years at the Barker Hangar moves to a new spot at the LA Convention Center. This should help with last year's complaints about lack of parking. Also, in conjunction with the Los Angeles Art Show, the city of Nuestra Senora de Los Angeles has proclaimed January 2009 Los Angeles Arts Month, bringing the local art community together, as well as international acclaim to Los Angeles as the new center of art for the Pacific Rim. Anchored by the LA Art Show, 'Los Angeles Arts Month' will unite art exhibits and special events throughout the city, resulting in a month long celebration of the arts during January, 2009. For more information go to www.laartsmonth.com. Let's see how this art fair does and maybe we'll get an early insight to the 2009 art season.